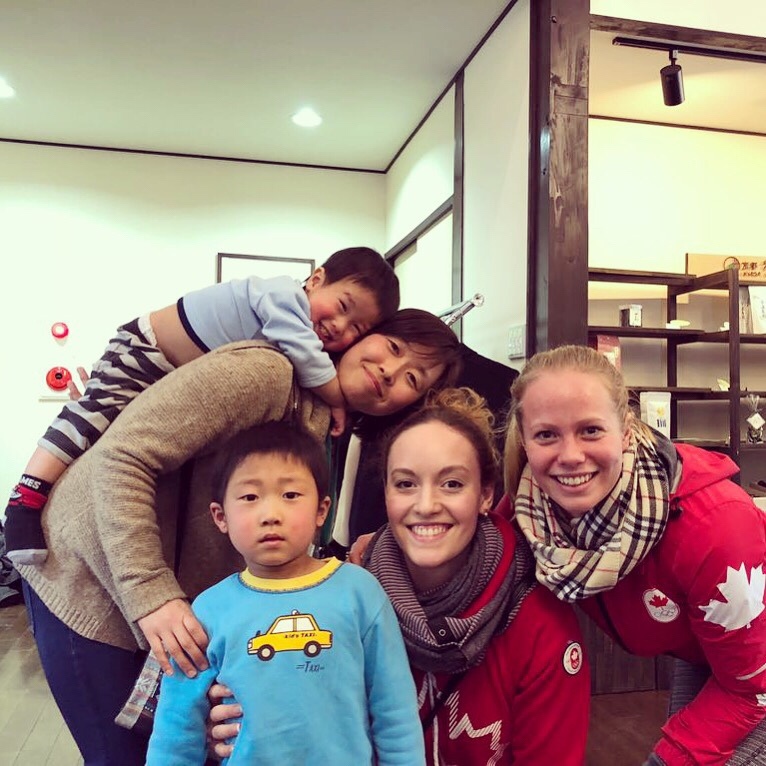 A few months ago, Jackie and I had the incredible opportunity to stay with a Japanese family in the town of Wakuza, Japan for a night. Walking to their Tea Farm on top of the hill! We arrived to meet a woman and her son who was about four years old, he was shy and hid behind his mom every chance he could. We soon found out that our “mom” for the evening had travelled to America and knew some English! This was a big help for us, though the rest of the family (four generations worth in one house) spoke only Japanese. We spent the evening watching two kids, as there was a little two year old at home playing with his toys. It didn’t take long before the boys realized that Jackie and I were pretty fun to hang out with and we were now the new toys for them to play with. We spent the night running around (getting in our steps LOL), picking them up, playing chef, driving toy cars and trying to calm them down at the end of the night, unsuccessfully. We had a traditional meal, with pickled vegetables, rice and tempura. We also tried all sorts of odd foods that made the meal even more interesting! We ended our night in our little meditation room on the straw floor with one pillow, hats, mittens and a ton of blankets as we were basically sleeping outside! All that separated us from the cold February air, was some paper thin sliding doors…. This experience was one I will never forget! 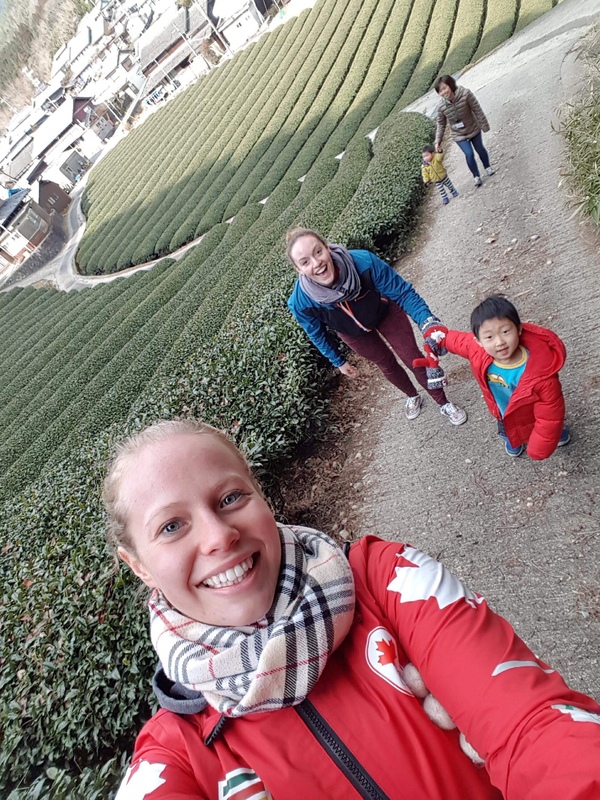 The time spent walking in the fields, playing with the kids and just being fully immersed in the Japanese culture; it puts everything into perspective and really makes you think about how lucky we are to have the things that we sometimes take for granted.